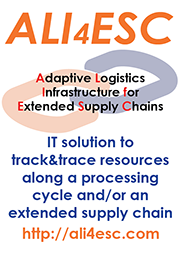 RFIDSistemi S.r.l., our operative partner, has developed Ali4Esc Brand Protection, a service for the producer who wants to innovate his products and in the same time protect them and his brand too. This application has as final users the costumers and with the app they are able to talk with producer’s goods. The service integrates the usuals informations posted on a product label with interactive and multimedia ones. are general informations about the product. accedendo al sito www.ali4esc.com è possibile visionare le informazioni di prodotto. 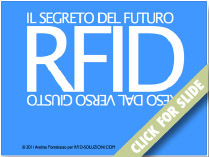 this informations are reachable only by reading the RFID tag. 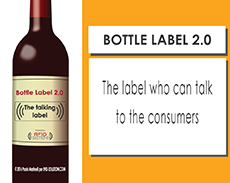 With these technology, the producer could share to his costumers reserved informations about that product, ensuring its originality and its certifications. The aims of this services are to help producers to protect his goods and his brand from counterfeiting and gray markets and to share information about his work, his territory, his business idea or about everything could help to improve the value and bring popularity at his products . This app isn’t only a protection tool from counterfeit or gray market, it could be an important marketing and advertising partner. One of that could speaks different languages and could involve the costumers into multimediand interactive actions useful to promote the business. The producer could put the RFID and QRCode attached to the existing label or put on the product a guarantee seal with both the identification technologies.In both the situations, Ali4Esc Brand Protection aren’t going to be a grave for the production lines. With entry-level configuration, the producer just has to attach the seal to his product, link the seal serial number to the product serial number and finally linking the informations. Every single one of these three operations could be automated. When the product is ready, the producer let the costumer to read informations by smartphone, PC or tablet. This is a 24/7 service. For costumers this is an important serivces that let them know and love more a product than other.